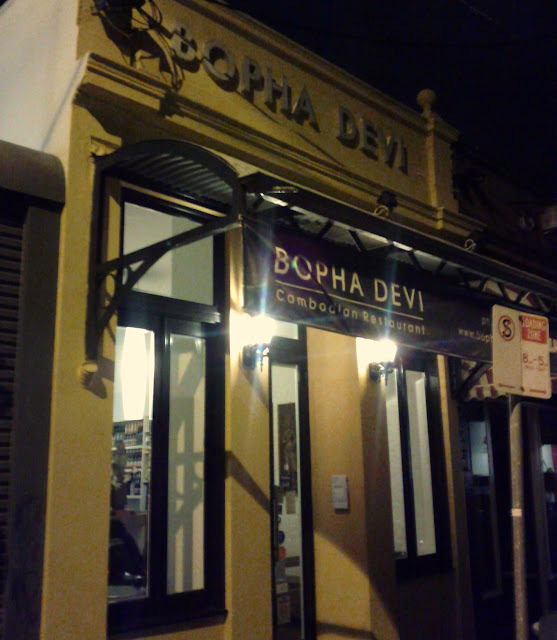 We'd been to Bopha Devi a few years ago, in the pre-foodblogging era and had good memories. 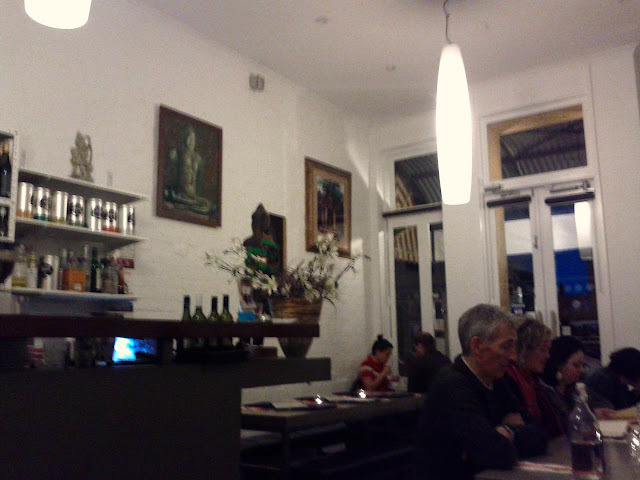 Some west-side friends had an interstate visitor in town, and we arranged to meet up to eat in the heart of Yarraville. Since we'd last visited it seemed as if the place had had somewhat of a facelift, I certainly don't remember it being quite as modern and stylish. The menu on the web seems slightly different to that we perused on arrival. 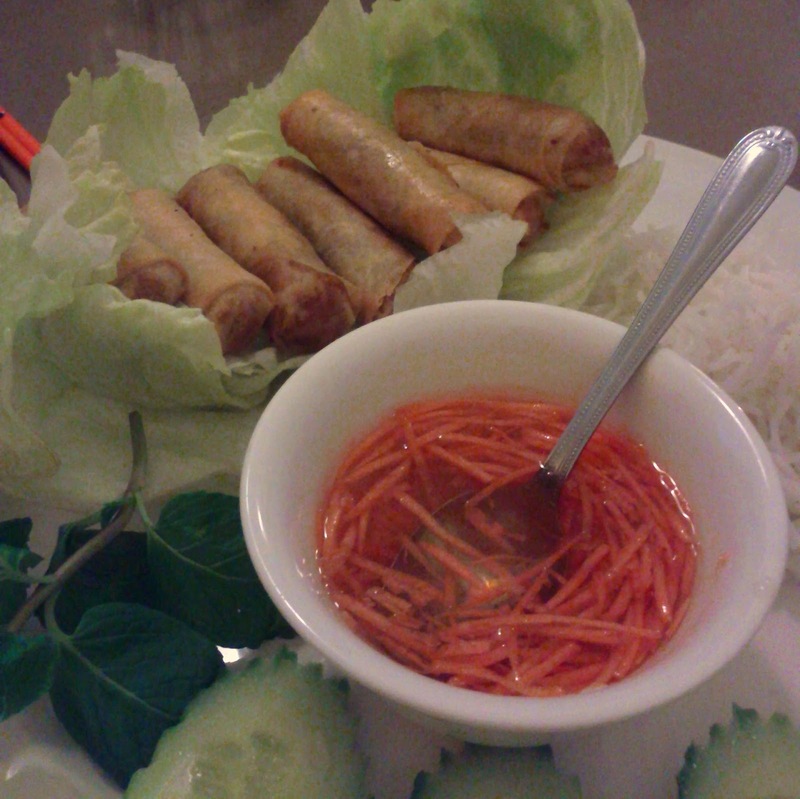 We decided to share the dishes, and the entrées included Spring rolls, which came with plenty of fresh herbs, cucumber and lettuce and some extra rice noodles. 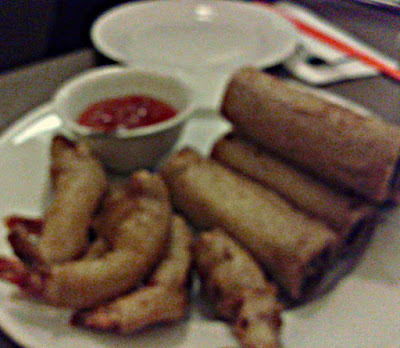 The K'dom, an interesting mix of chicken and crab meat rolled together in a crispy bread were a new a new dish to me and had an unusual texture but were enjoyable and comforting. They arrived on the same plate as the "Prawn Pucks" which had been coated in panko and then deep fried. 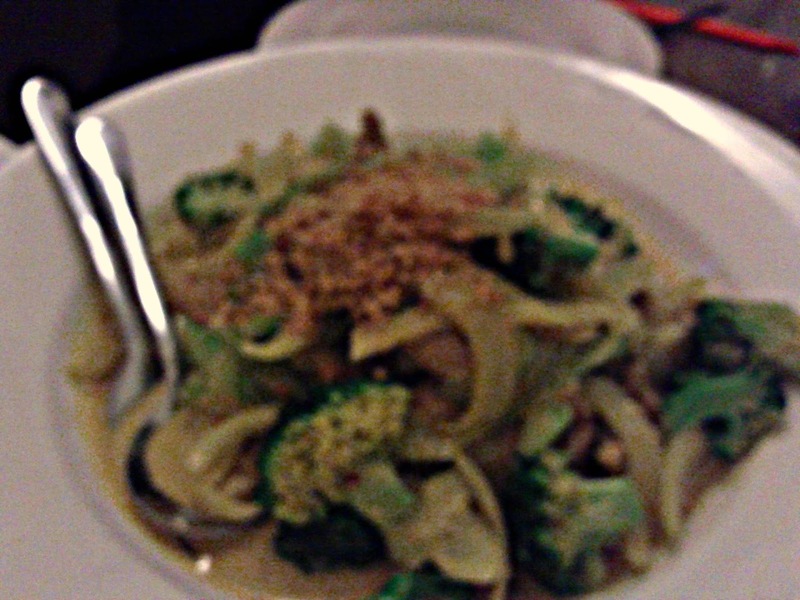 The chicken Saramann was cooked with coconut cream, onion, broccoli flowers, five spices, lemongrass, turmeric, lime-leaves and crushed peanuts a favourite of our friends and was a good tip! The highlight of the visit was the Choo Chi featuring pan-fried barramundi fillet in coconut cream, lemongrass, turmeric, lime-leaves and crushed peanuts. 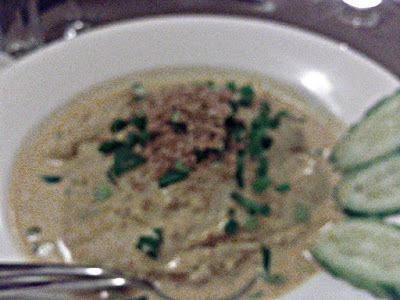 It was spicy with plenty of tumeric flavours, and it all worked really well with the fish. 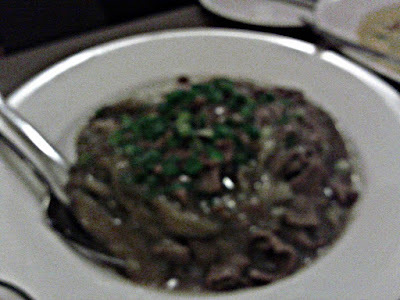 The beef and eggplant dish was a little bit too heavy on the almost slimy eggplant for some of the diners, but I enjoyed it. Each of the main dishes were huge, and 3 between the five of us was plenty! The service was friendly, if just a little on the slow side. The meal worked out as pretty good value, just remember not to order too many mains!